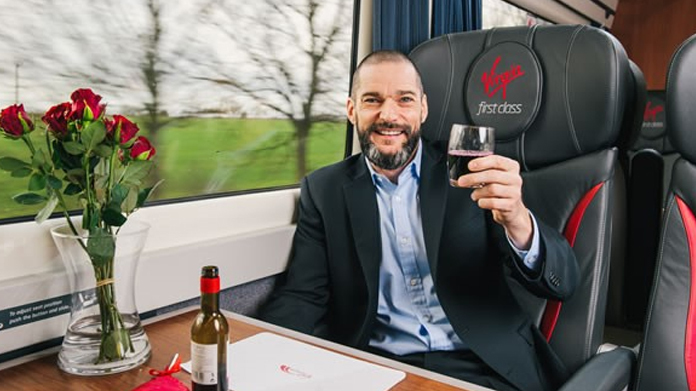 We wanted to find a way of landing Virgin Train’s newly-refreshed first class coaches in national news media a month or so after we’d launched the revamped trains … and landed some lovely national media in the process. So we took a lateral approach. Indeed, we invented Speed Dating. With the thinking that we’d do something interesting in the train to show the train off. So we enlisted the help of TV’s Fred Sirieix (the obvious choice, we’ll admit, but he worked rather flawlessly for what we had in mind), and plotted our very own “high-speed dating” event. Armed with romantic photos and video content of several couples on their first date … with Fred on hand to offer moral support … alongside details about the event itself, the team went out far and wide with the news to encourage the public to apply for a spot. Coverage included Metro, Daily Mirror, London on the Inside, In and Around London and Huffington Post. Two exclusive interviews with Fred were also placed with PA and Daily Mirror increasing awareness of the event further. Overall we had over 60 applicants, including one applicant asking if he could use this as a platform to propose to his girlfriend! The event itself took place on the big day (14 February, obviously), with 24 lucky singletons travelling on a newly refurbished Virgin Train to York and back. Entertained by Fred and his team throughout, the singletons took part in speed dating as well as other games to help them to find ‘the one’ on board. Here’s a wrap-up from ShortList with its tongue very firmly in its cheek. Let’s hope we’ve matched some lonely hearts this Valentine’s Day!